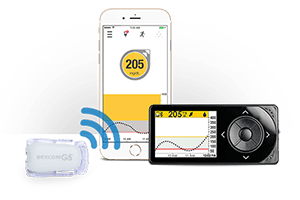 ANNOUNCEMENT: Dexcom G5 CGM and Medicare! I received a call on Friday, 7/21/17 from an inside sales rep for Dexcom, to let me know that they will be selling G5 CGM directly to those covered by Medicare! WOOOOOOHOOOOOO!!! I spoke with the rep today. He was wildly polite and knowledgeable. He took me through the process they need to set up the account. He asked me about 8 questions … best to answer YES for all (including that you use your receiver at all times to get your data. Trust me, that’s the answer!). Then he will follow up with my endo’s office. The system for ordering sounds very organized, with the ability to place a monthly order for whatever you need. They will also offer the Ascensia Contour Next meter and strips. If you have not heard from Dexcom directly yet, give them a call and ask for the Medicare Order Group.